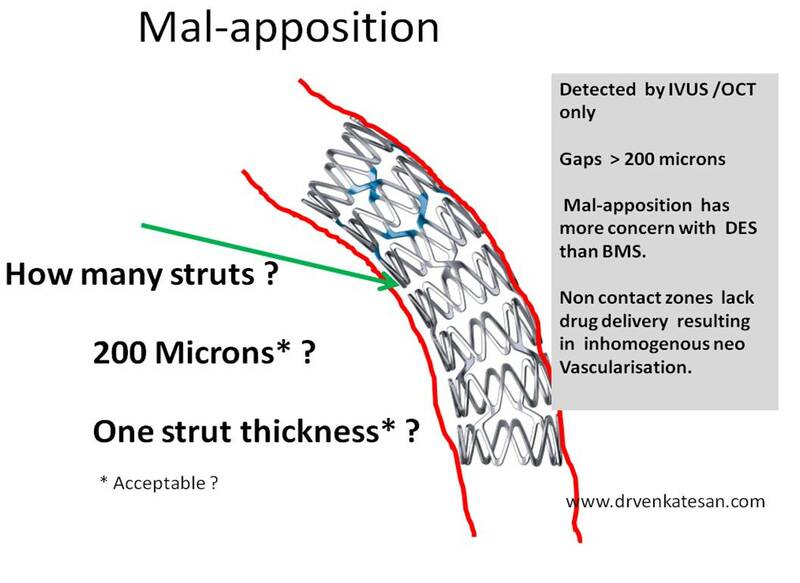 What is the difference between “under-expansion & mal-apposition” of coronary stent ? 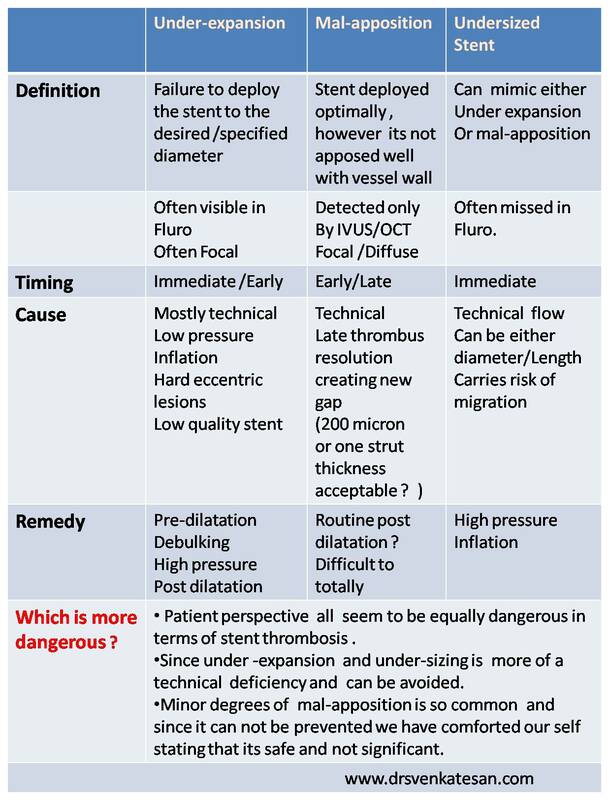 Improper or technically deficient stent deployment is a major factor for post stent events .Few terminologies are used in assessing stent deployment. A stent is not fully expanded to the desired or to its specified diameter. This is often due to inadequate balloon pressure during inflation . Many times its technical and It requires post dilatation. Under-deployed stent is often due to a struts hitting a hard surface or calcium . 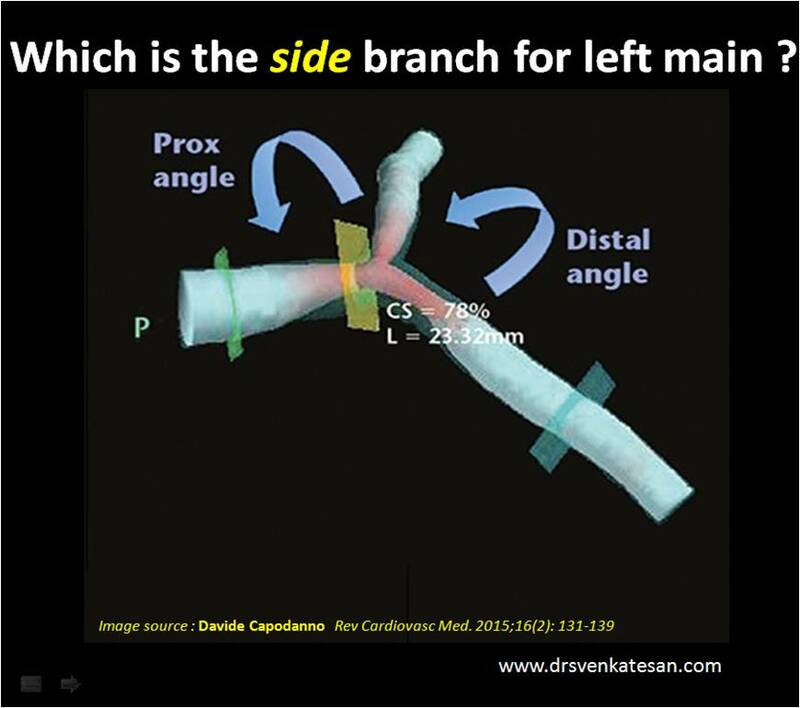 It’s a fine gap between the vessel wall and the stent. It can be observed immediate or late. Immediate is usually due undersizing of stent. Stent rejection hypersensitivity and inflammatory reaction is a rare possibility. What is the acceptable mal-apposition ? Is routine post-dilatation the answer for all mal-appostion? Not really , still It is most logical step. Liberal post-dilatation can be a problem as it may increase plaque prolapse and may re-release or dislodge the thrombus trapped during the initial expansion and triggering a no- reflow. 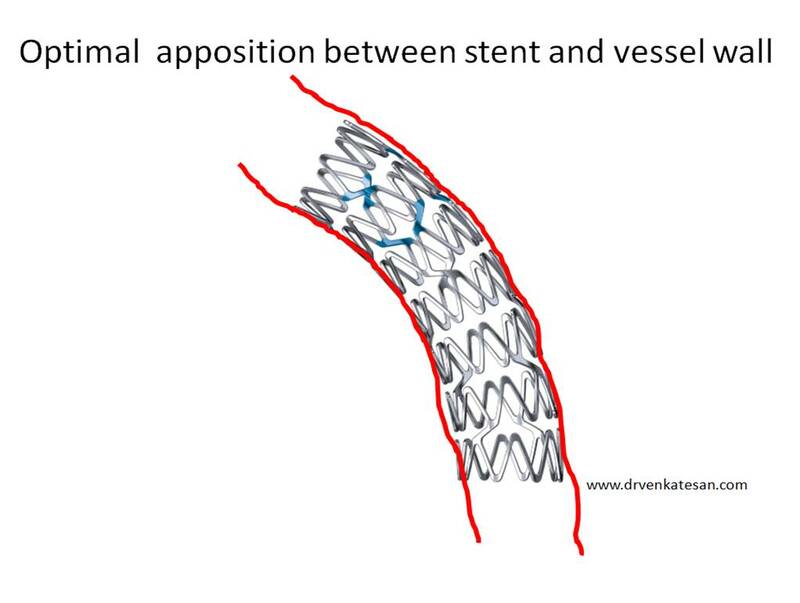 Selecting a smaller stent for a given vessel diameter is another common error that result in MPS. This again can be tackled(Though not ideal) by high pressure inflations. Is self expanding stent best option for preventing mal-apposition ? May be.It has more radial strength, and it is expected to take care of the current and possible future gaps of created by positive remodeling. UES and MPS , though discussed separately by cardiologists , from the patient point of view , the difference is camouflaged in technical semantics since both carry risk significant risk of recurrent ACS or restenosis .It has become fashionable to believe one needs to be worried more about visible UES than invisible MPS.